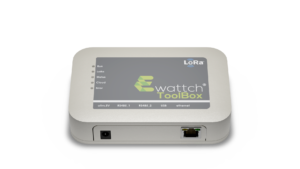 In addition to having LoRa connectivity, it is also available optionally with a GPRS module. 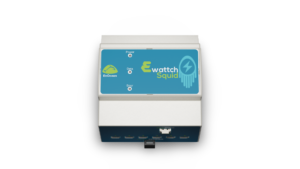 The SQUID can simply and easily sub-meter your single-phase or three-phase electrical installation with 12 clamp meters. 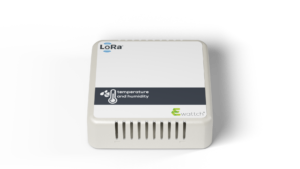 Sensor communicating via LoRa and LoRaWAN, capable of measuring internal temperature and humidity. 4 functions in 1 sensor: temperature, humidity, presence and luminosity, enabling the analysis of environmental and behavioral data. 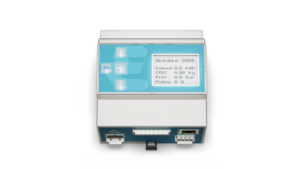 EnOcean sensor with 2 pulse inputs (water and calorie meters,…) and an input for ENEDIS meters. Gateway which can concentrate data from wireless LoRaWAN Ewattch sensors or sensors from other manufacturers and transmit them via Ethernet or GPRS. Simple-to-deploy hub enabling the recovery of data from wireless LoRa-Ewattch sensors or sensors from other manufacturers for transmission via Ethernet or GPRS. 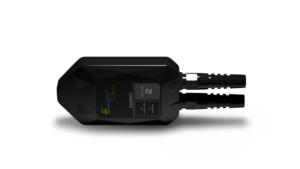 Energy monitor perfectly adapted to RT2012 regulatory requirements. 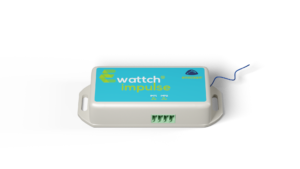 Integrating an EnOcean module allows you to connect a wide range of sensors.